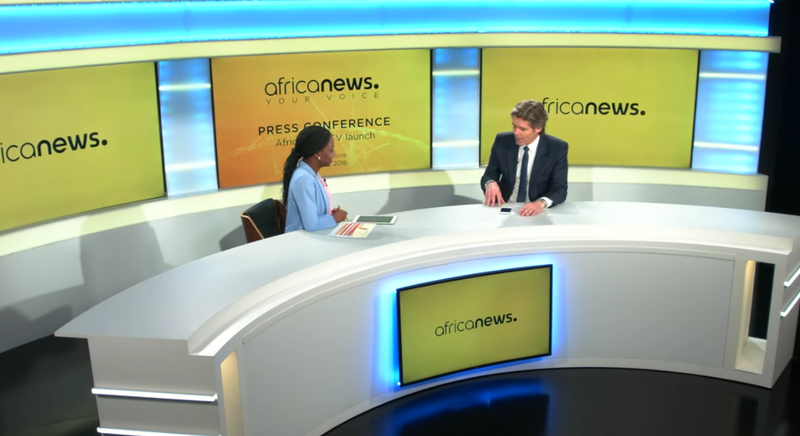 The owners of Euronews have launched Africanews from a bright and fresh set. The network based in Pointe-Noire in the Republic of the Congo, uses a wide set with curved walls lit on bright blues and yellows. Also included in the walls are large flat panel video screens that are used to display the network’s simple, flat and yellow themed graphics package. A large, curved white anchor desk sits in front of the set.